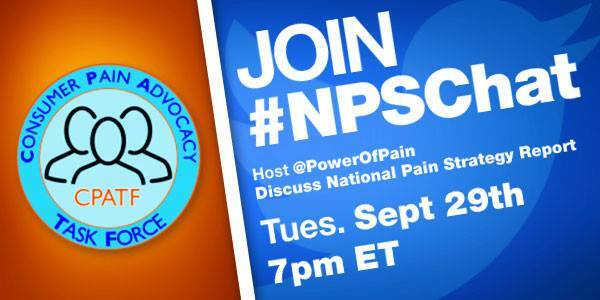 The first National Pain Strategy Chat was held on September 29, 2015. Hosted by the Power of Pain Foundation with formal guest speakers Bob Twillman, Executive Director of the American Academy of Pain Management, Lynn R Webster VP of Scientific Affairs, PRA HS, Former President of the American Academy of Pain Medicine, Author of The Painful Truth and Christin Veasley, founding member of the Chronic Pain Research Alliance, whose mission is to advance scientific research on prevalent, neglected and poorly understood pain disorders that frequently co-occur and disproportionately affect women. Excerpt from EXECUTIVE SUMMARY Page 3. While I participated to send out Questions, and re-share answers, I used the opportunity to listen instead of voice any thought at this time. My response- Yes. Q and A’s educate to form solutions and partnerships. Chats provide opportunity for involvement. This was my only contribution. 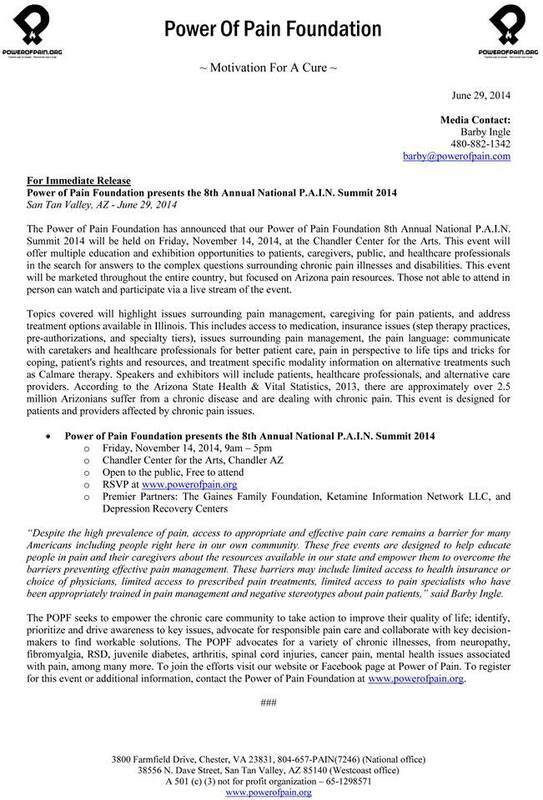 For those who haven’t read the National Pain Strategy, I encourage you to do so now. We often want to be involved and voice our opinions, we want to help make change, or be there to advocate for our loved ones, or ourselves, yet too often we rely on others to tell us what something is, what it says, or what it’s all about. You have to read it for yourself, otherwise, you’re only receiving pieces and parts and from another’s perspective. I’m not embarrassed to admit a one time read isn’t enough. Neither is the second re-do. It’s in-depth and complex. Future chats are important for all of us to come together to discuss the report. I did exchange further conversation with the person who asked and replying to other questions. And I hope Mr. Mackey does care as my own daughter is now in the care of Stanford, both transplant center and pain management. His job is above caring though. Learning that Dr. Mackey’s parents both live with chronic pain didn’t really impact me. It only means that he does in fact have a personal connection to pain in addition to his education and experiences. It doesn’t mean at all that it will influence him either way. Of course my heart goes out to his parents. It’s like saying “my best friend is black” to appease a situation of color. Stating a family member has chronic pain is like attempting a nudge toward acceptance. It doesn’t make any difference to me. Actions speak louder than words, so we’ll see and I do mean that with the utmost respect. For the sake of the NPS and those of you who support it, I support it for you at this time. I’m not entirely certain of its benefits or that it will be implemented properly. Like most strategies, guidelines, and law the benefits are often dismissed when they matter most. Having been apart of change and implementation for the current California Pain Management Guidelines I’m not naive to opioid prescribing, risks or need. There are too many guidelines being developed. The CDC, government and state levels. The only people who are going to suffer are those who are labeled with “pain”. Opioids don’t kill, being irresponsible does. The double-edged sword in under treated pain and prescribing. I look forward to the next #NPSChat. 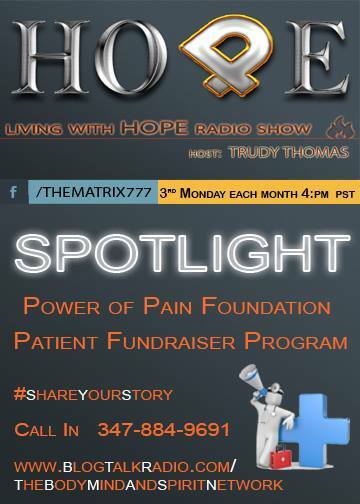 Featured Blog Talk Radio Host Trudy Thomas puts the Spotlight on Youth related pain and diseases. Each Monday at 4:00 p.m Pacific time/7:00 p.m Eastern. Tune in to hear about 4 different diseases and how the kids and the families are working to overcome the challenges. To join the shows, Call (347) 884-9691 Stay on the line to listen, press 1 to speak to the Host or Guests. You can also follow the link above and log in from your computer, use a headset and join in the chat room. 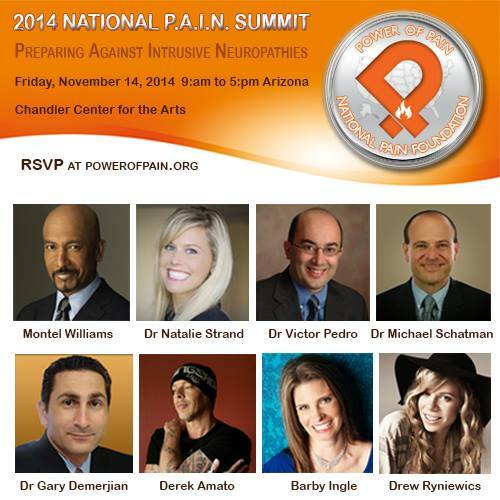 Trudy has been the Nevada Ambassador for the Power of Pain Foundation for years now. She started her show in 2007. It has excelled to it’s ‘featured” status on Blog Talk Radio. The Power of Pain Foundation‘s Patient Fundraiser Program for Youth offers front page exposure on POPF’s main page for those fundraising for medical related issues, treatment, equipment, life saving measures, and more for those between 0-20 years of age. Power of Pain and Living with Hope offers parents or the youth themselves a chance to tell their stories, teaching us about illnesses we may not otherwise know of, raise awareness in new areas, learn more about illnesses that we do, and show these parents, children, pre teens and teens, we care. Feel welcome to contact me also. Trudy is also live Friday morning’s at 9:00 a.m PST. Each show is pain related, whether holistic or conventional. There is always something to learn. Episodes are archived, available to listen to and ready for download. 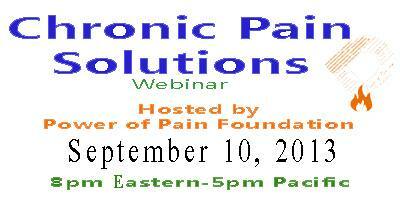 Join us for a webinar on Sept. 10, 2013 at 5:00 PM PDT. Dr. Twogood will discuss that chronic pain is caused by ongoing inflammation which is caused by specific substances in the diet, food additives & medication. He was also on the backtalk show Living with Hope, sponsored by the Power of Pain Foundation in May 2013.